Civic and Corporate events will all benefit from his services. ... gliding gracefully upon the water. 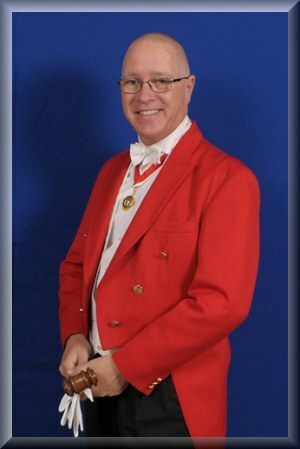 This is how guests at a function see a toastmaster. A calm, unhurried, relaxed individual, mostly in the background who simply makes a few announcements. Like the swan, paddling away under the waterline, most of his work is unseen. Jonathan continuously liaises with all concerned including the Host and Hostess, the Bride and Bridegroom and the best man at a wedding or for a Masonic Ladies Night, the President and his Lady and the Function Committee as well as the caterers, the band or disco and the photographer, videographer and any other auxiliary staff. His care and meticulous attention to every detail will ensure that your function runs smoothly. Your function is like a finely tuned orchestra. The caterers are the woodwinds, the photographer and videographer are the strings, the band are the brass instruments and the percussion instruments. Each experts in their own field, but without a conductor go off at a tangent playing their own scores at the wrong speed and at the wrong time. What if the main course arrived before the starter was finished or the photographer was taking a group photograph as the Bride and Bridegroom were cutting the cake, cherished moments lost forever. Not forgetting honoured but nervous guests, given the task of making a speech or proposing a toast who are not familiar with the propriety of the occasion. Jonathan Wyner is the toastmaster who will bring harmony to your function, leaving you to relax and enjoy your special day. Jonathan is available 365 days of the year and is happy to travel to any venue in the U.K. or abroad.